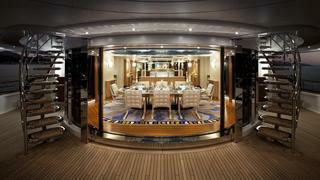 With a refit as recently as 2017, SYCARA V offers a variety of exterior dining and lounging areas including a unique terrace with shade awnings on the foredeck. 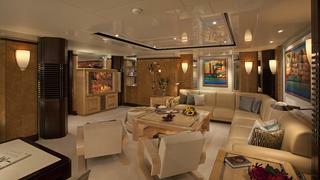 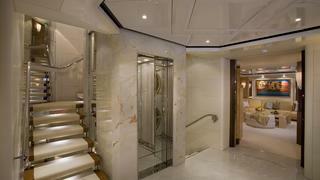 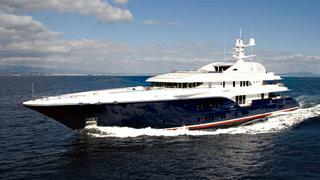 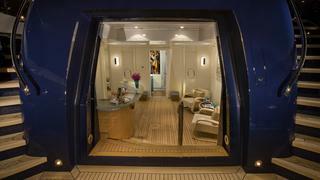 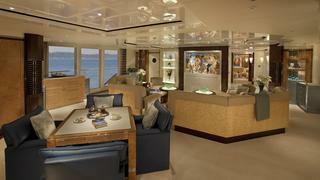 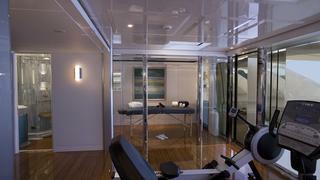 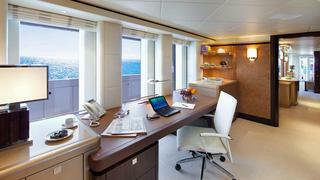 The yacht was designed in a casual yet elegant penthouse style with large windows and skylights allowing natural light. 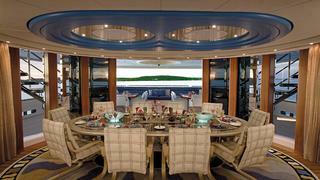 The interior dining area is located aft of the main salon. 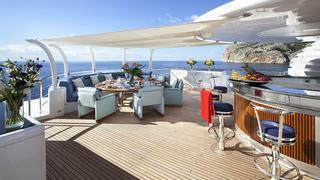 Alfresco dining is available on both the main deck aft and the sundeck aft. 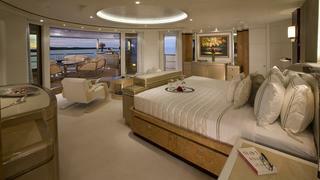 The luxuriant master suite, located on the bridge deck, includes a private aft deck which comfortably seats 12 guests at a custom glass-topped dining table positioned above a skylight to the main aft deck below. 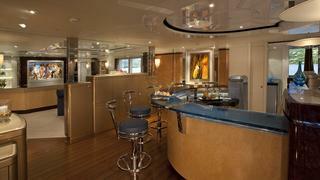 The sundeck is divided into 3 areas: the lounging / dining area aft with large semi-circular bar, a central air-conditioned gym with private massage room and bathroom (shower with steam), and forward, the large Jacuzzi with optional awnings and sunbeds. 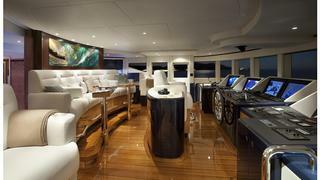 All tenders and toys are stowed in the garage leaving the decks uncluttered. 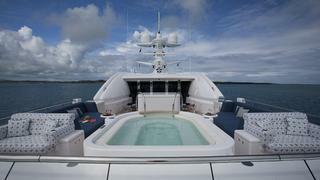 The tenders and watercraft are launched from side garage doors. 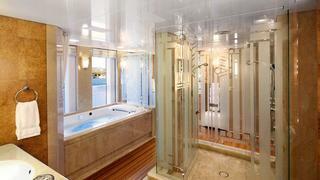 The air-conditioned beach club lounge on the stern is furnished with a Murano glass bar, armchairs and a bathroom with shower. 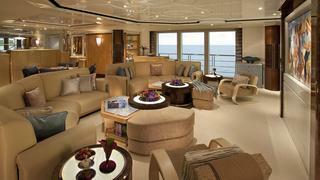 The lounge opens onto the large swim platform. 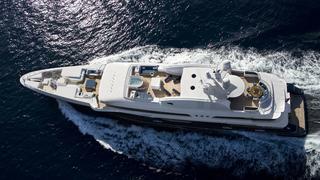 Indulge your senses on a relaxing cruise with family and friends aboard the superb SYCARA V. Built by her experienced owners at the renowned Nobiskrug shipyard, SYCARA V is the fulfillment of a lifetime of yachting expertise.